At the core of Filter are four true stereo multimode filters, with low-pass, highpass, bandpass and notch modes, variable cutoff slope, four independent delay sections, and a variety of filter routing options. 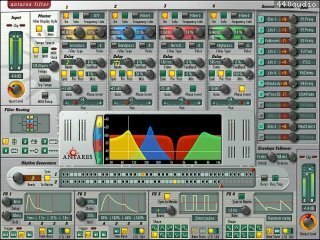 Filter includes two drum-machine style Rhythm Generators for loop-based grooves or complex polyrhythms. Filter includes a modulation section : pretty much everything that matters can be modulated. Control sources include four multi-shape LFOs, four Envelope Generators with delay and hold times, two Rhythm Generators, an Envelope Follower and a slew of MIDI controllers. 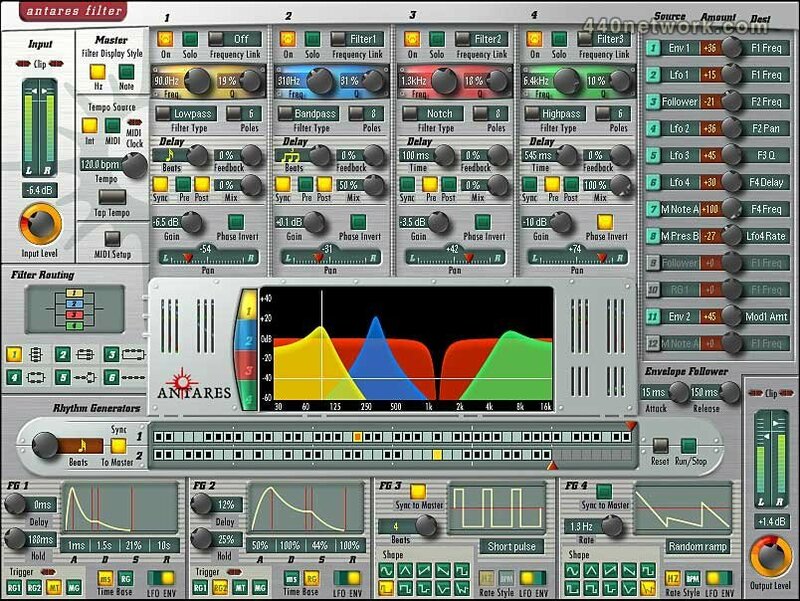 Filter includes also two drum-machine style Rhythm Generators for loop-based grooves or complex polyrhythms. Every time-based parameter — from tempos, to delay times to envelope rates — can be locked to Filter's internal master tempo or your host's MIDI clock.